Jazzfood wrote: Best sandwich I've eaten in a long time is the carne asada pambazo @ El Habanero. Reminds me of a Mexican Al's. I plan to get there to try this as soon as possible, it looks amazing. We had 2 pambazos at El Habanero last night -- 1 al pastor and 1 asada "special" in which they include a touch of chorizo. Wow! It was tough choosing a favorite. What a great place, and run by such warm, accommodating hosts. So I finally made it out to a place I’ve been hearing about for a long time: Al and Joe’s out by O’Hare. 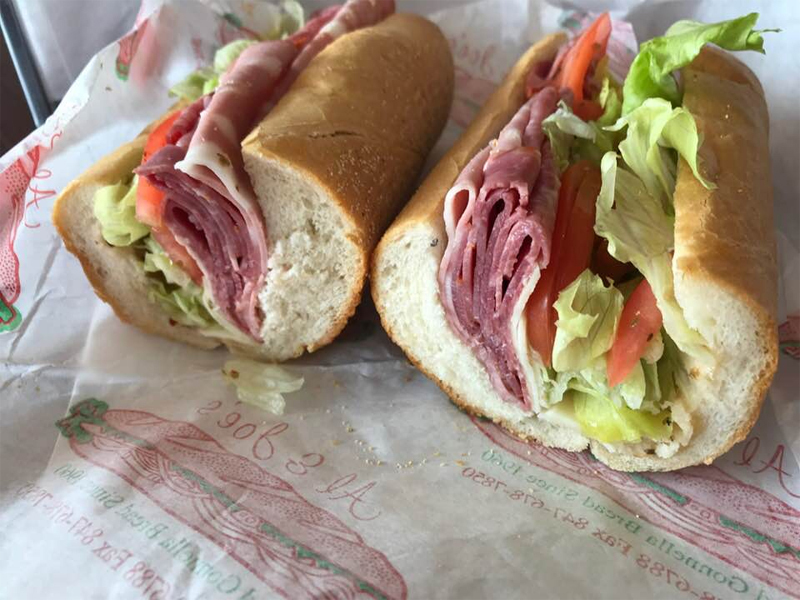 I’m of the opinion that most Italian subs in the city that you get from a deli are more similar than they are different but Al and Joe’s seems a cut above the rest, mostly because of the excellent dressing mix they use. Seems heavier on the vinegar maybe? I really like the tang it give the whole sandwich and the meats are very flavorful and well-proportioned as well – heavy on the mortadella which I like a lot. I wouldn’t say this is the best Chicago sandwich (still Al’s Beef dipped, hot), or even my favorite Italian sub (that would be Vinnie’s on Grand) but Al and Joe’s lives up to its reputation. Al and Joe’s out by O’Hare. I work just down the street and was not aware of this place. Thanks! Can't wait to try it. I loves me some Al & Joe's! This probably does not belong here, but there are (surprisingly) no baloney sandwich threads. It was a tasty sandwich! Fried baloney sandwich, count me a Fan! G Wiv wrote: This probably does not belong here, but there are (surprisingly) no baloney sandwich threads. It was a tasty sandwich! I'll be right over for one! i miss olga and her schnitzel, too....i usually bought the chicken schnitzel by the pound and made my own sandwiches at home and also reheated some with preserved lemon juice and capers and call it pollo limone....RIP, Olga.